A young member of one of my quilt guilds was diagnosed with cancer this winter so we rallied and made a lap quilt for her recovery time. These girls work fast and put the top together at a sewing day and had it ready that night for me at guild. 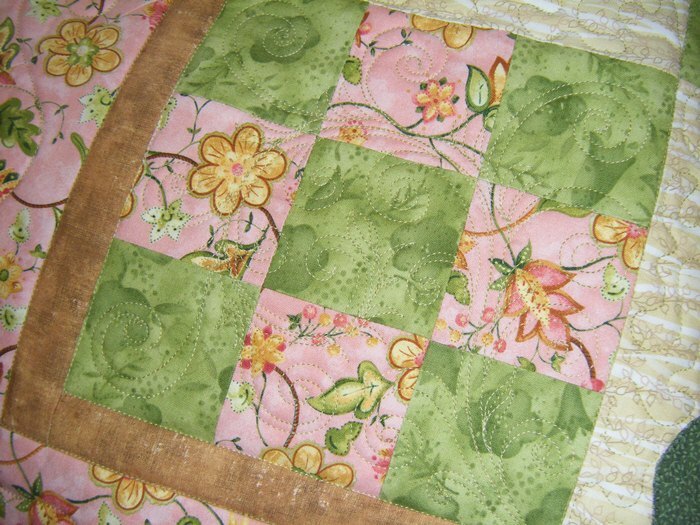 I quilted it and another member added the binding. We were able to give it to her the day before her surgery and she was so appreciative!! 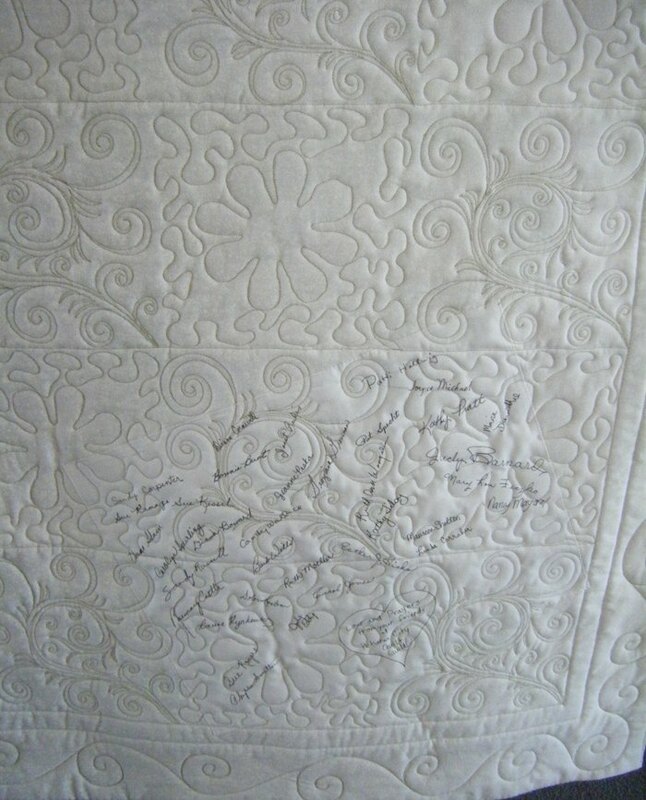 The back shows some of the quilting and the label that most of our guild signed during the February meeting. This is a close-up of the 9-patch block. 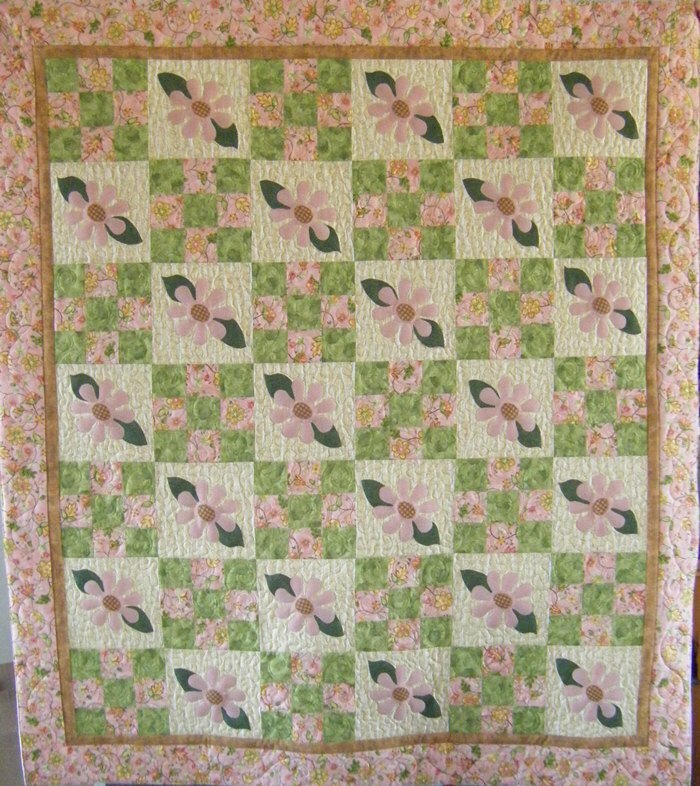 I thought the fabrics and pattern were just great for a cheery get well soon quilt.